When I first started farming about five or six years ago I could get organic whole grains in 50 pound sacks locally. 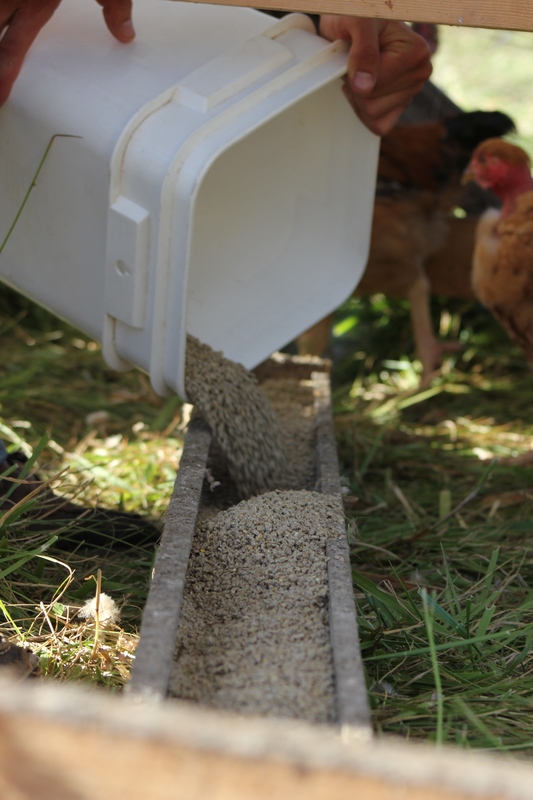 This was great because it created the opportunity for me to mix my own ration for our chickens, as I’m sure a number of backyard flock owners love to do as well. With a small flock it was easy to mix and use 3-4 hundred pounds at a time and feed it out over a month or two. But after a short while the 50 pound sacks dropped, unannounced, to 40 pounds. The price remained the same. 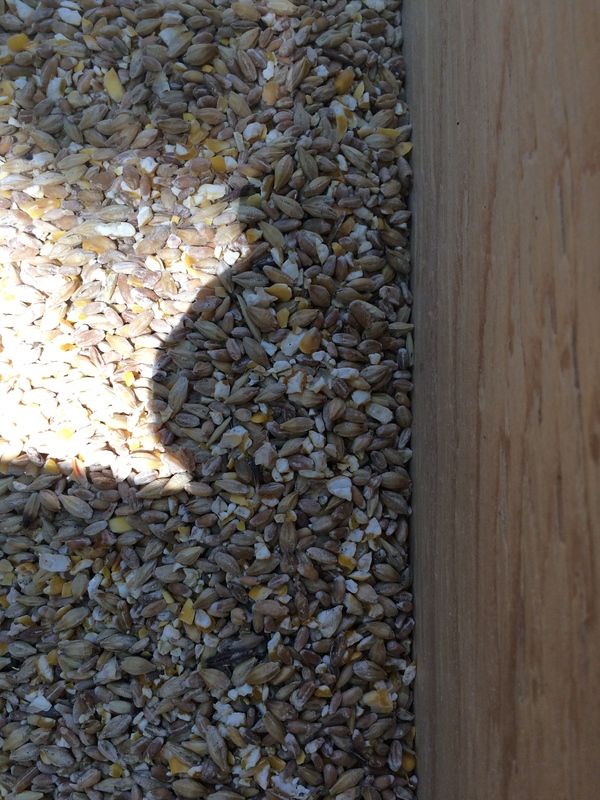 Then access to the whole grains came to an abrupt end altogether without any clear cause. Frustrating to say the least. 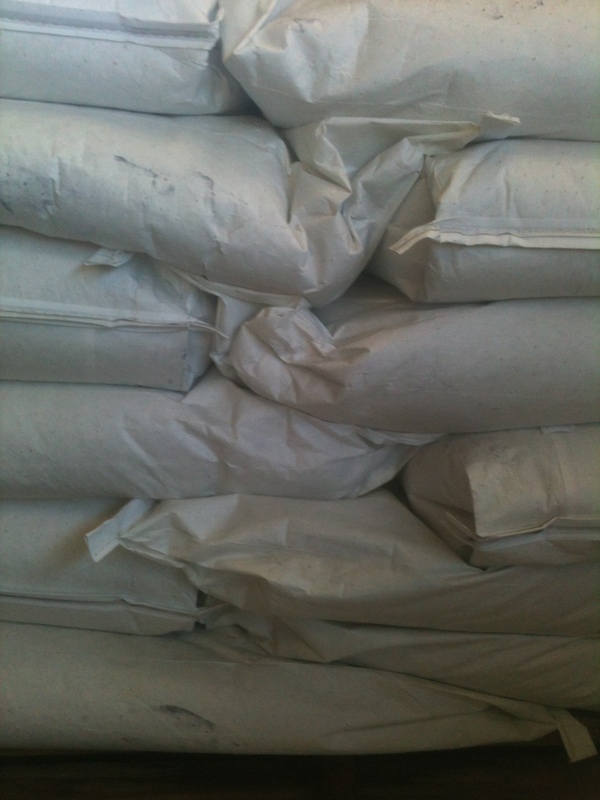 We were forced to start feeding processed feeds in 40 pound sacks because that was the only available organic feed. It worked for a short time, but the quality was questionable and the price was too high to make a profit. 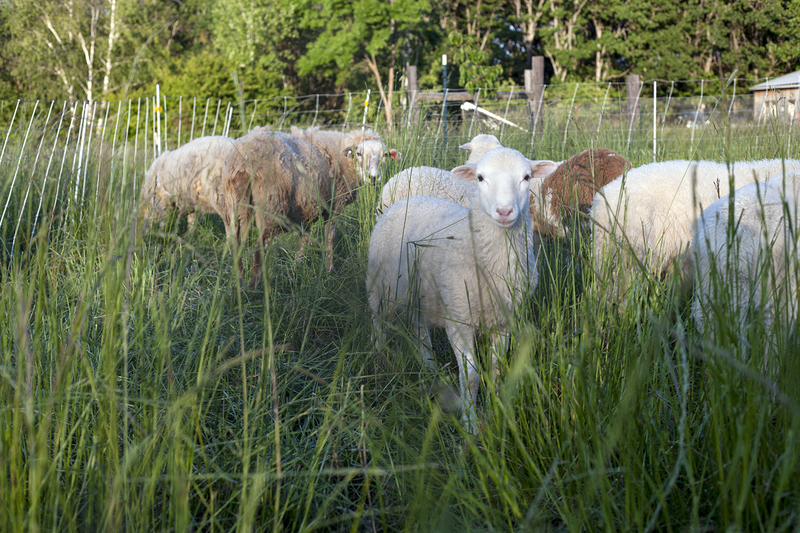 Certified organic feed can be a challenge to get at the best of times, especially for us at our small scale. So our next step was to push our production up to the next price break. 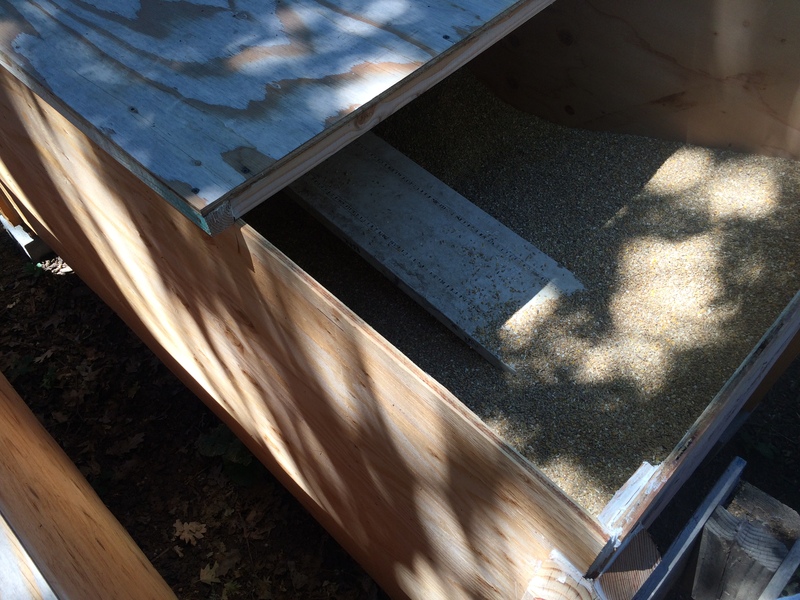 We increased our production by adding more Turkeys and egg laying hens so we can order 1000 pound of feed at a time. That way we could use up the feed in a reasonable amount of time, because unless the feed is in a whole grain form it loses its nutritional quality over time. This worked well and we were able to build a productive small farm business. 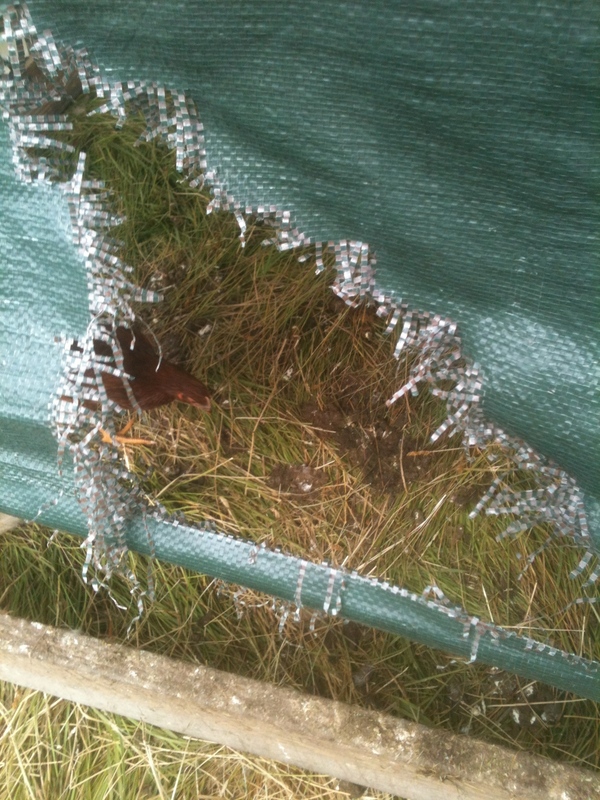 But once again after a short while our access to the 1/2 ton sacks came to an abrupt end without clear cause or warning. We found out the day we tried to order our next batch of feed. The only option’s now for organic grains are to go back to getting grain in 40 pound sacks (not an option) or jump up to the now 3 ton minimum, meaning we have to order no less then 6000 pounds at a time. Wow, thats a lot of feed! We can and do feed this much in the course of a season but the hard lump to swallow is where and how to store this amount of grain. When you are at the scale we are, you just have to take it as it comes and is just the nature of running a small business. But it would seem that the mantra of “get big or get out” is still strongly with us today in agriculture. As noted previously in the post titled “Broilers”, traditionally chickens were separated into different classes defined by age. Youngest to oldest the classes are: broiler, fryer, and stewing hen. Here we will focus primarily on the fryer. 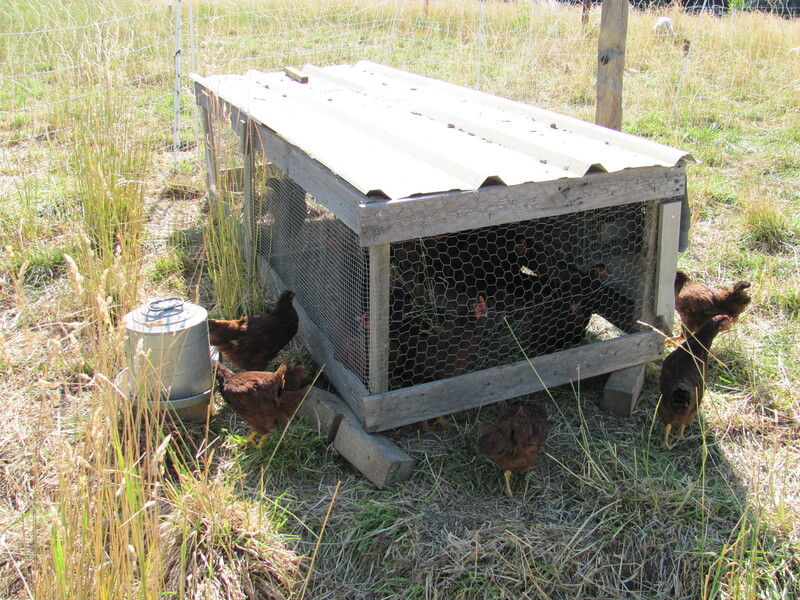 Traditionally fryers tended to come from farms that specialized in egg production. In advance of industrial hatcheries (where one can order just female chickens) eggs were incubated and hatched on farm, leaving the farmer with an excess of males to do something with. And herein lies the rub; it’s likely that fifty percent of the eggs hatched will be male chickens. 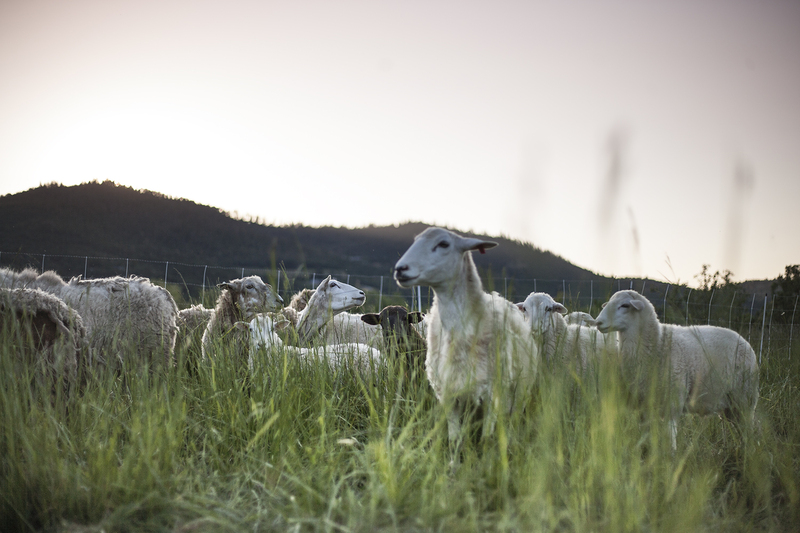 Sure, the farmer keeps a few of the best for breeding purposes, but the rest are fattened and sold, helping to make the farm become a little more sustainable. The farmer has had to find a niche market or create one. 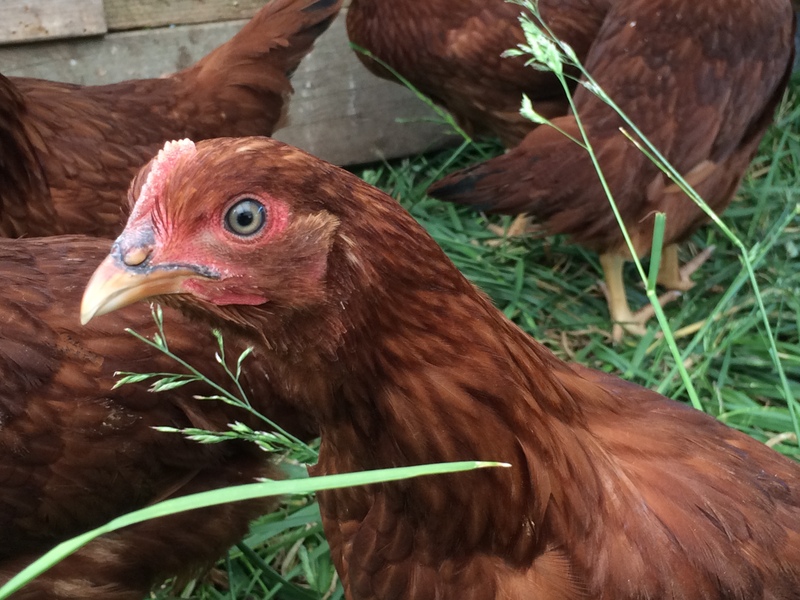 An egg-centric farm’s production of chicken for meat just couldn’t compete with farms focused primarily on producing broiler chickens. With a larger size, heavier weight, and rapid growth, the broiler type breeds quickly outpaced the egg-oriented chicken’s marketability for eating. Egg-focused birds, on the other hand, are small, light-weight, and place their energy into preparing to lay eggs instead of growing flesh. Because of this, in order to reach the the 4 pound market weight fryers need more time to grow. At a couple weeks older than the broiler, fryers are in the 14-20 week age range. They have had more exercise in the extra weeks needed to mature and have become more flavorful but are a little less tender. With a firmer texture to their meat, grilling is no longer an optimum cooking method. Grilling is high heat and tends to dry out food. When applied to a fryer, this is a recipe for inedibility. Because of this they need a different cooking method to be rendered into a quality meal. Frying is the best method because the breading keeps the moisture in the meat. But there are many other delicious recipes. For instance, chicken cacciatore is also a wonderful way to utilize fryer chickens; seared in hot olive oil and then cooked in tomato sauce with olives and onions until tender and served over pasta. In this method the chicken cooked slowly in liquid helps the meat to soften and most importantly provides the opportunity for the flavors to marry. Fryers prepared in this way are hard to beat. Below is another possibility and is one of our favorite recipes. This is a one pot dish and is a wonderful way to prepare a fryer chicken. Preheat the oven to 325 degrees. Estimated baking time: 1 hour and 15 minutes for a 3 pound bird. 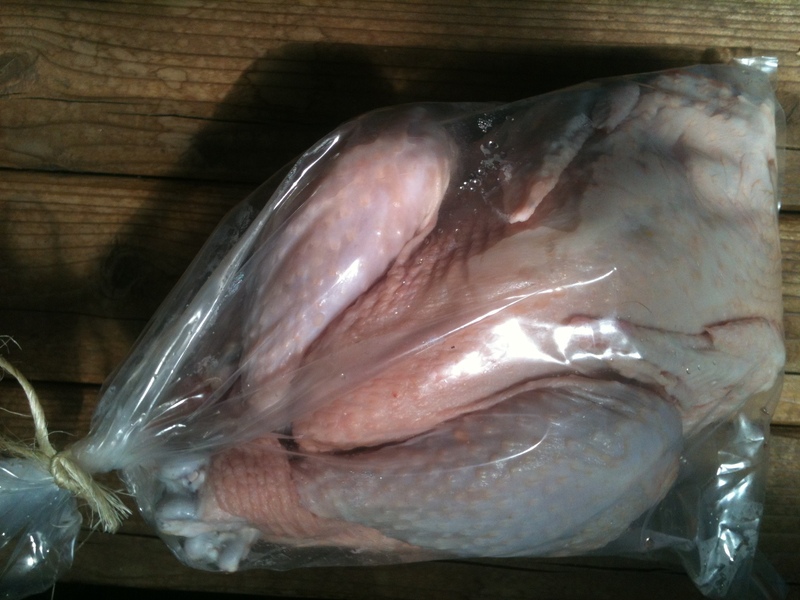 Put chicken out at room temperature so that it can warm up before roasting, about 1 to 1 ½ hours is best. Place a casserole pan on the stove top and melt the butter. Season the chicken with salt and stuff the tarragon into the cavity. Once the butter is hot, place the chicken into the pan and sear on all sides. This could take 10 to 15 minutes. Remove the pan from heat. Remove the chicken from the pan. Add potatoes and vegetables, then place chicken back into pan on top of the vegetables. Place the casserole pan into a preheated oven and bake until the chicken reaches 160 degrees. Pull the pot from oven and let the chicken rest for 10 minutes. Serve and enjoy. Once upon a time the cookery and consumption of poultry was dictated by the turn of the season and fostered by tradition. 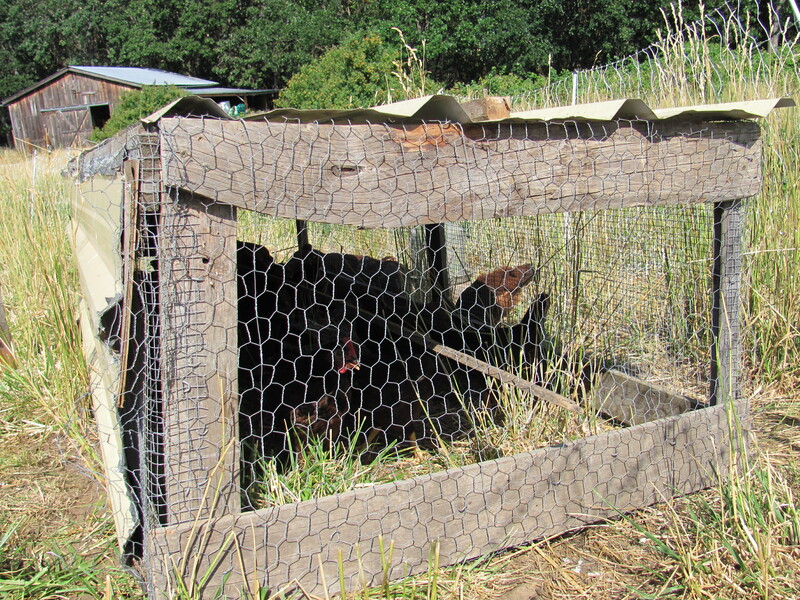 Chickens were harvested at the various mile markers in a bird’s growth. 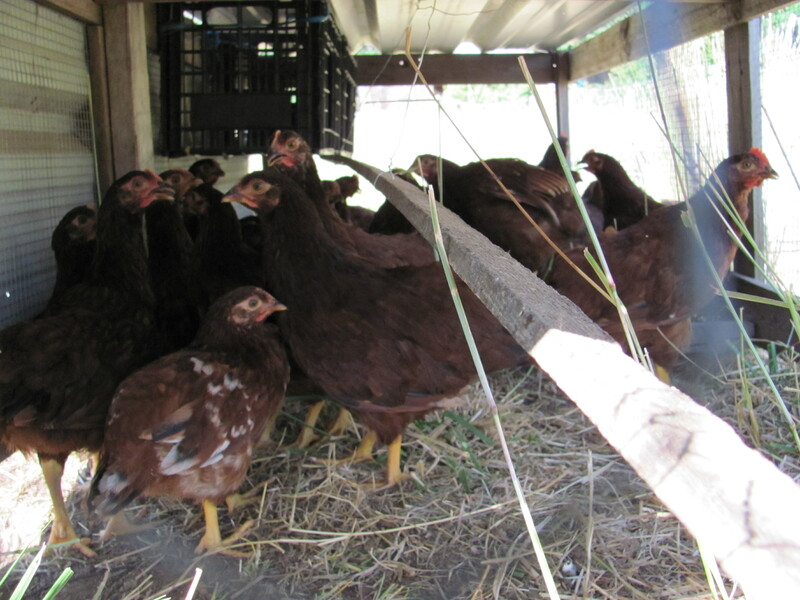 At 8-12 weeks of age you would have broilers, 12-18 weeks fryers, and anything over 18 weeks stewing hens/roosters. Each mile marker represents a niche. Traditional American farmers have had different strategies of poultry production to access the local market niches. Egg producers would meet the fryer and stewing hen niche because they use smaller-framed birds that grow muscle slowly and were a way to phase out spent egg-laying hens. But some farms focus on raising meat-type chickens, birds that grow flesh faster and more evenly, are able to reach the class size of broiler the fastest, and retain a tender texture. 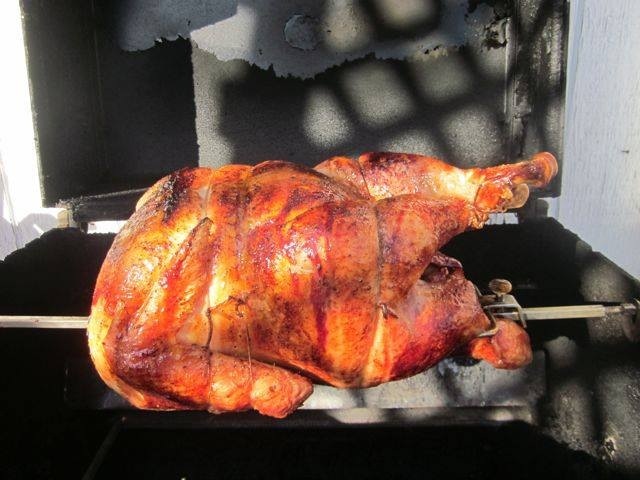 This is the first in a three part blog series and we will begin by focusing on the broiler. 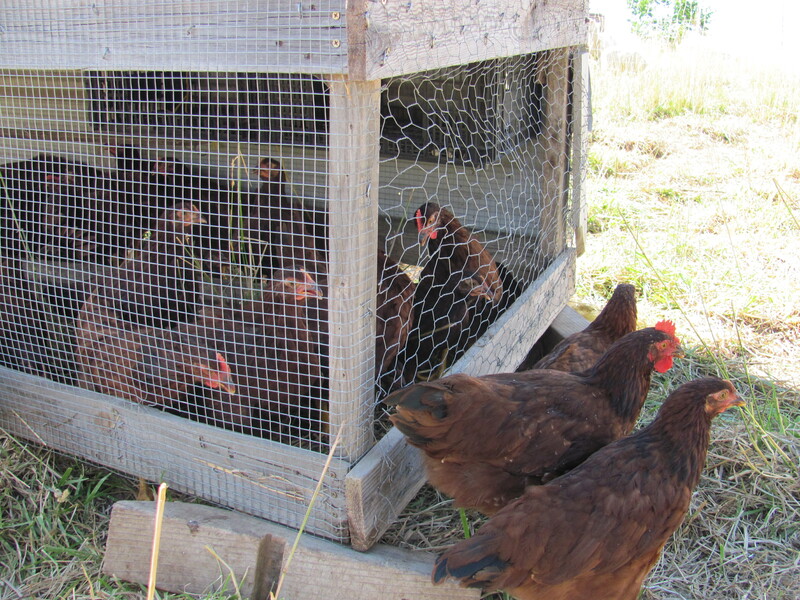 Broilers are commonly 8-12 weeks of age and will range between 3/4 to 1 1/2 pounds each. As this is the tenderest class, it is where industrial agriculture has focused its attention and is the only type of chicken most of us have eaten. With the advent of climate-controlled housing, large scale industrial farms are able to produce broilers in the 4 to 5 pound range in as little as 8 weeks. Take my word for it, that is fast! However fast isn’t always best. Sure it is good economically speaking, but if that is the only goal one misses out on the other benefits provided by slower growth, namely greater flavor and nutrition. 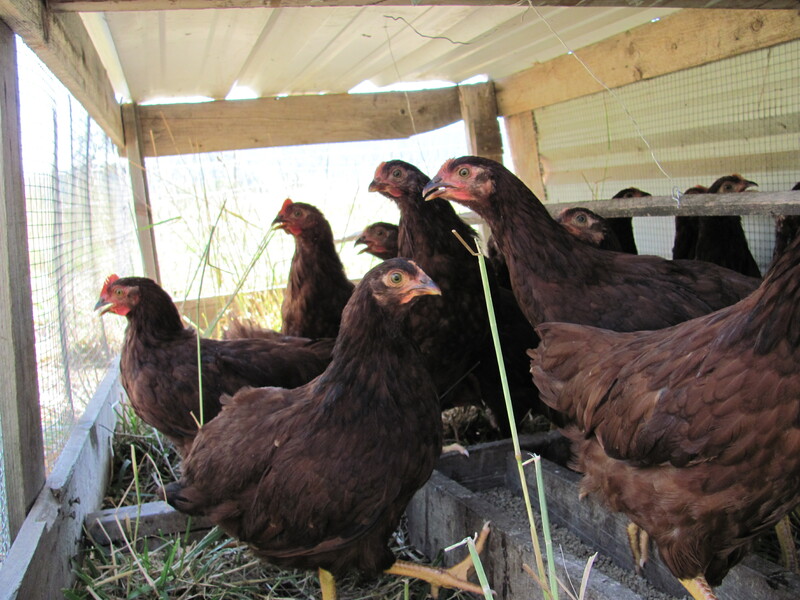 We have found raising chickens outdoors on pasture pushes the maturation of our birds into the 12 week range and adds flavor. The best way to cook these birds is to grill them. We won’t be providing a recipe with this post because almost everyone knows how to grill and enjoys grilled chicken their own special way. 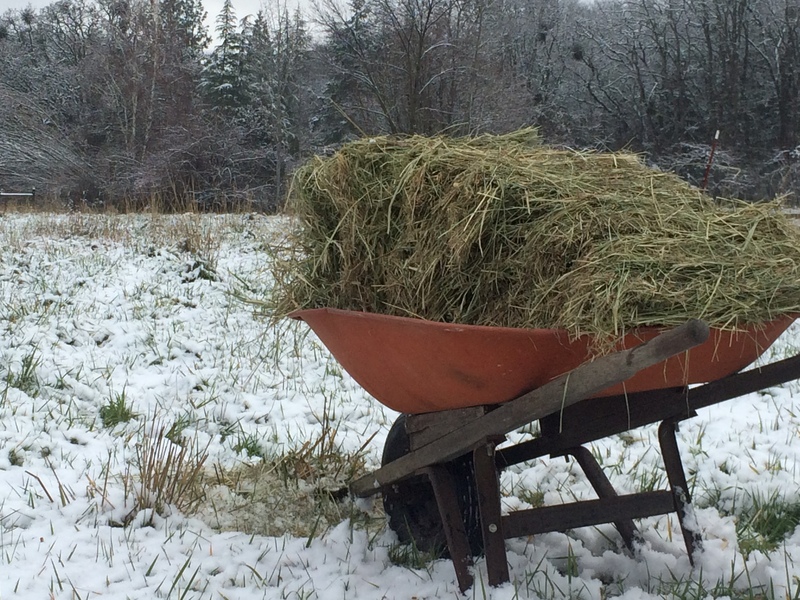 Any sheep, goat, or cattle operation needs to provide feed for their animals through the cold winter months when the grass is growing slowly or isn’t growing at all. That’s where having a big, dry barn comes in. 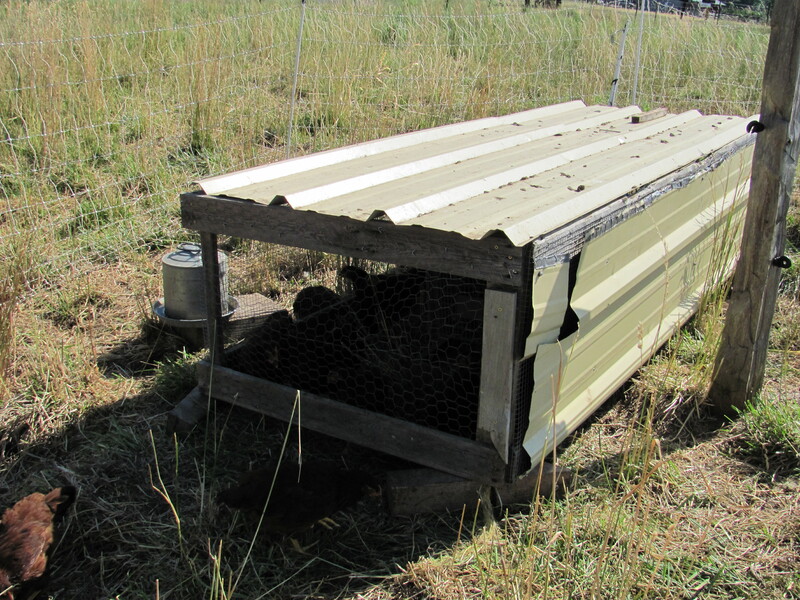 Traditionally this problem is overcome by cutting grass in the spring and summer months, drying it, and putting the now “hay” in the barn to store it until winter. This is often referred to as “putting up hay”, most likely because the hay is kept on the second story of the barn. Modern hay farms use two essential resources to grow hay in our area; water and petroleum. 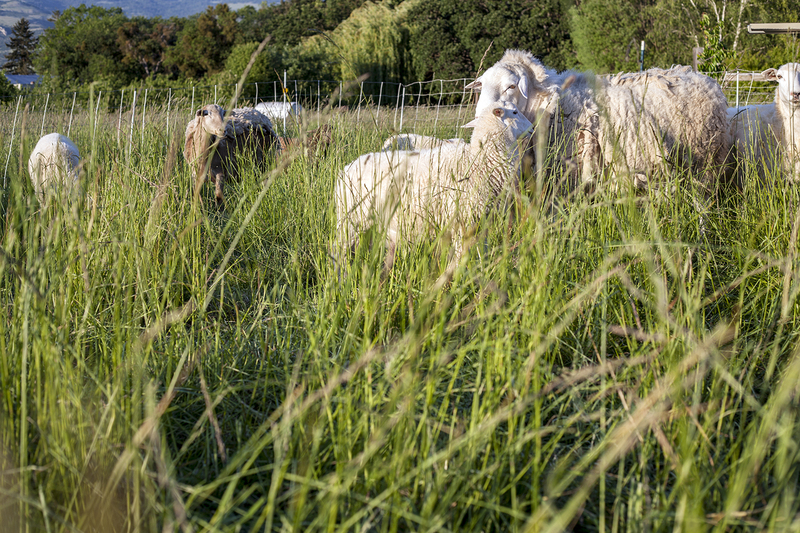 Pastures are heavily irrigated to maximize numerous cuttings, similar to alfalfa in production. The grass is mowed using heavy equipment (typically tractors) and baled to bring in the harvest. A very efficient system. Since hay can be expensive, we try to buy as little as possible. We figure the less reliance on off-farm inputs, the better. 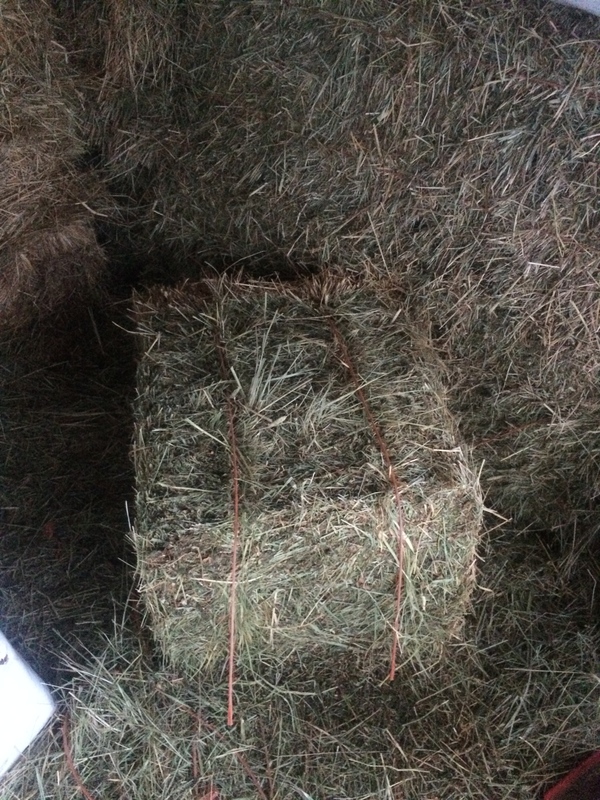 This may be a drop in the bucket, but the less demand we have for hay the less demand is placed upon the resources named above. But most importantly, ruminants by their very nature are grass-harvesting machines and will do the job without using any of those valuable and costly resources. 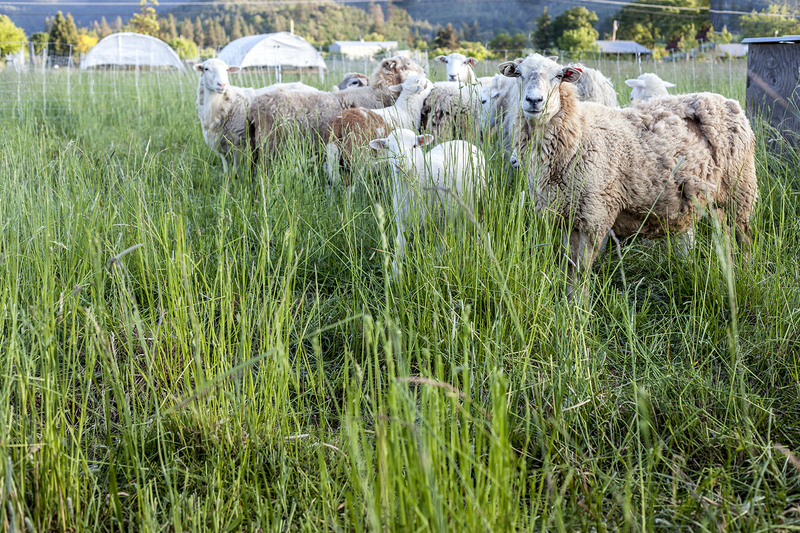 By dividing our pasture into smaller paddocks and planning the amount of grass the sheep self-harvest, we have shifted our attention away from micro-management of our livestock to the holistic management of our pastures. 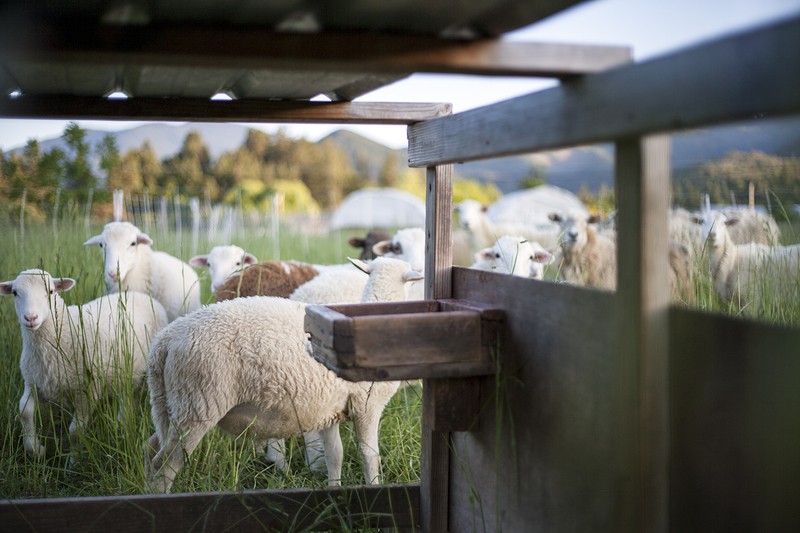 This method contributes to healthier animals and grasslands because our sheep spend little time in any one place. Through better land management this season, we didn’t have to feed hay until the 1st of December. Just animals and grass. That is our focus. 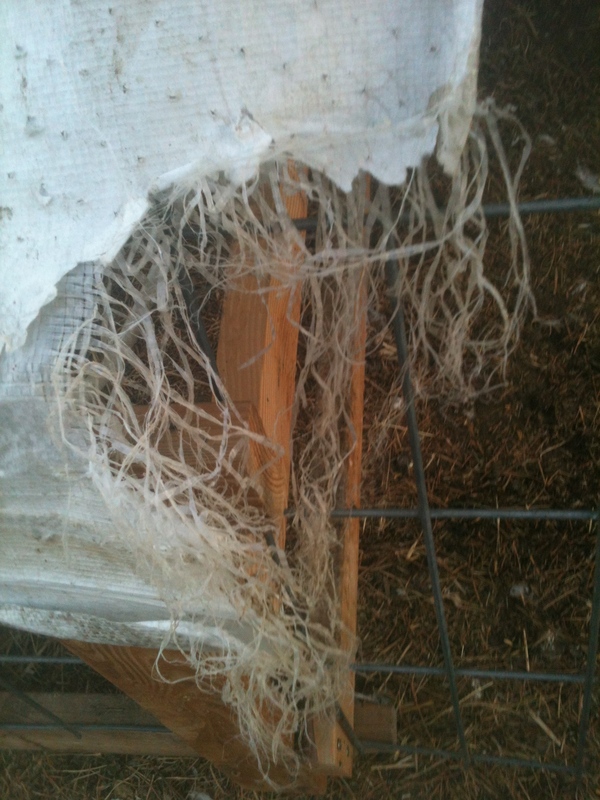 We keep that principal in mind when designing housing for our livestock. And through this ideal of simplicity we are pushed to focus on man-powered equipment. 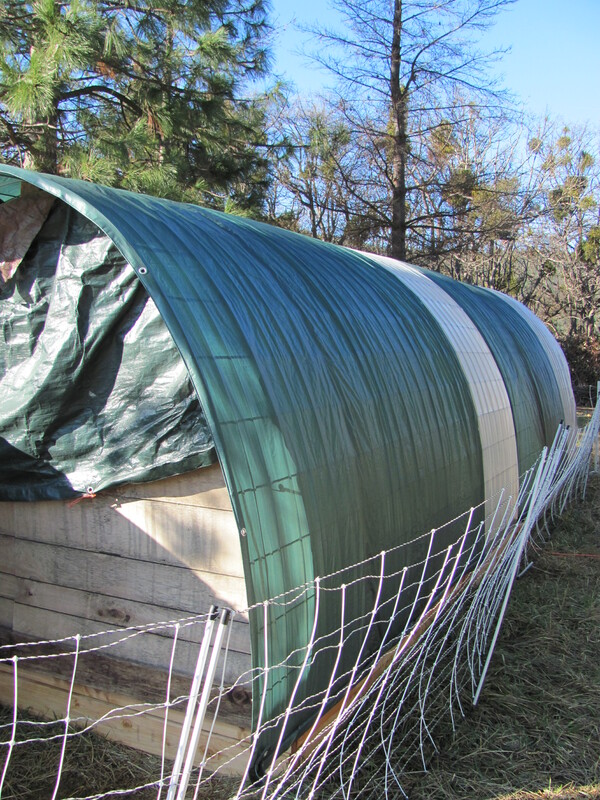 Our chicken houses are designed to meet those demands; they are open-floored, light enough to move by hand but just heavy enough to keep from blowing away in a rain storm. But to achieve these requirements the roofing material has to be light-weight and waterproof. So in the beginning we started with green, moderately inexpensive tarps from our local hardware store. These tarps met all of our criteria and at the time I thought this was a great idea. But in retrospect it turned out to be a terrible gift that just keeps on giving. 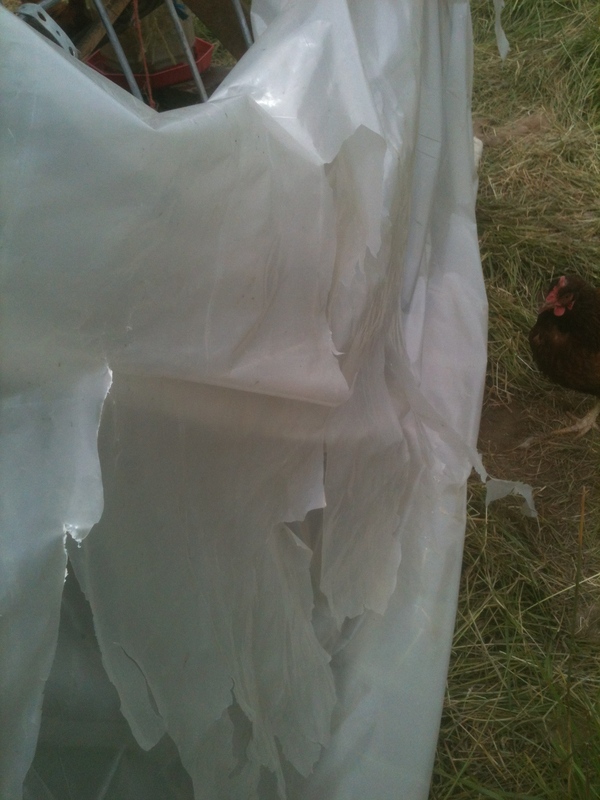 Light, flexible, and waterproof, one could reasonably assume that a tarp is to be used outside in all sorts of weather. There are even pictures on the packaging of outdoor use. We got the sizes we needed. We put them on and everything was hunky dory. But sunlight (a.k.a ultraviolet rays) is the one element that we seem to have over-looked. We didn’t even get a single season’s use out of these tarps. When newly opened out of package they off-gassed. If that isn’t bad enough, as they degraded in the sun they shredded into tiny, chicken-bite-sized-pieces. 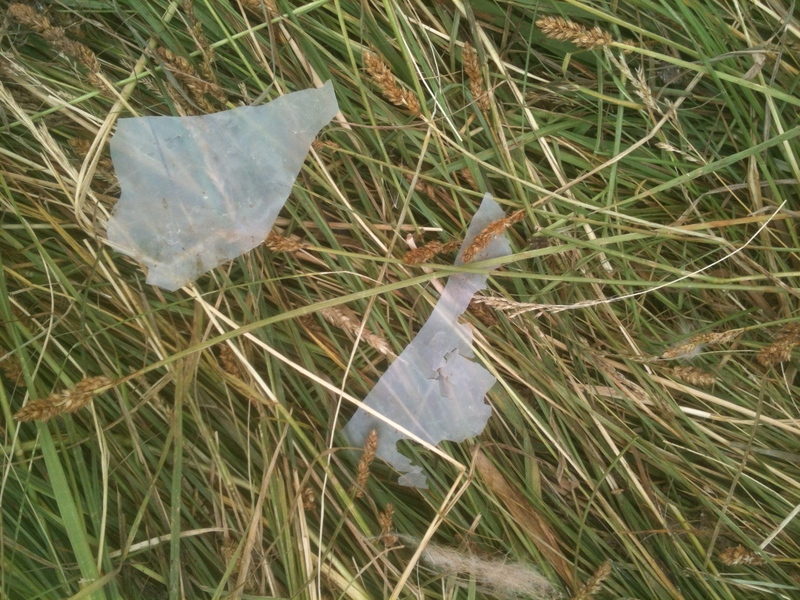 The pieces spread all over the farm from the wind and into any paddock that the hens spent time in. 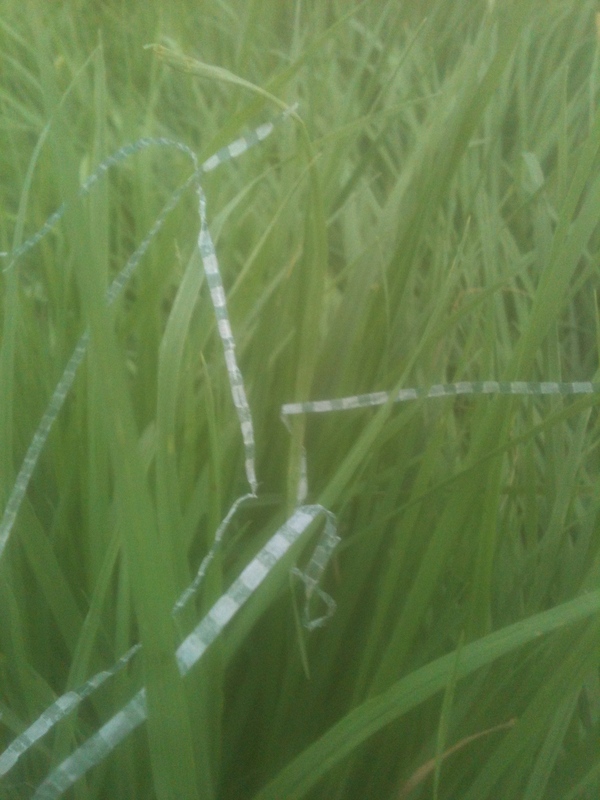 We essentially polluted our own small farm’s beautiful fields with these plastic strands of poison and lost a number of chickens because they would eat it if given the opportunity. The adage “you get what you pay for” couldn’t fit better and to be honest this was a hard lesson to learn. I would like to think that we get a little smarter season to season, and in this case it’s actually true. 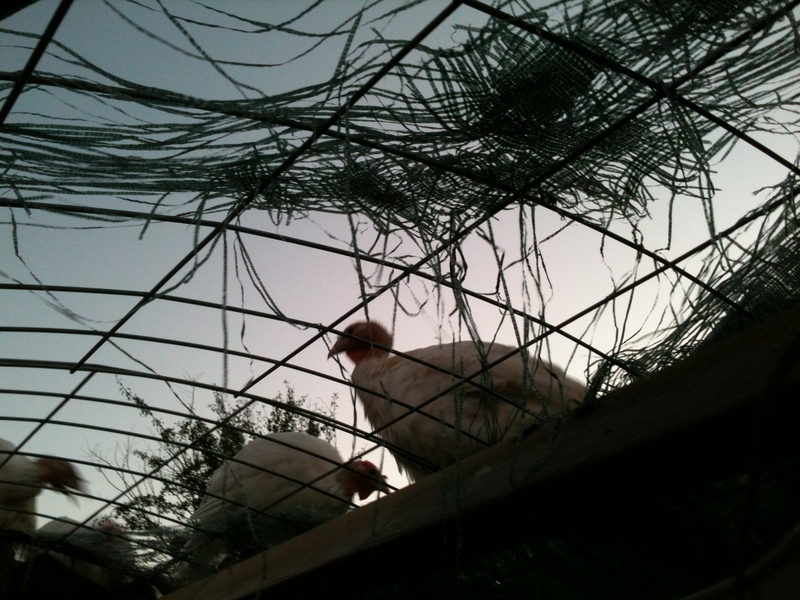 Check out ”Learning to Roost”, one of our earlier posts, to see how we used to do it. 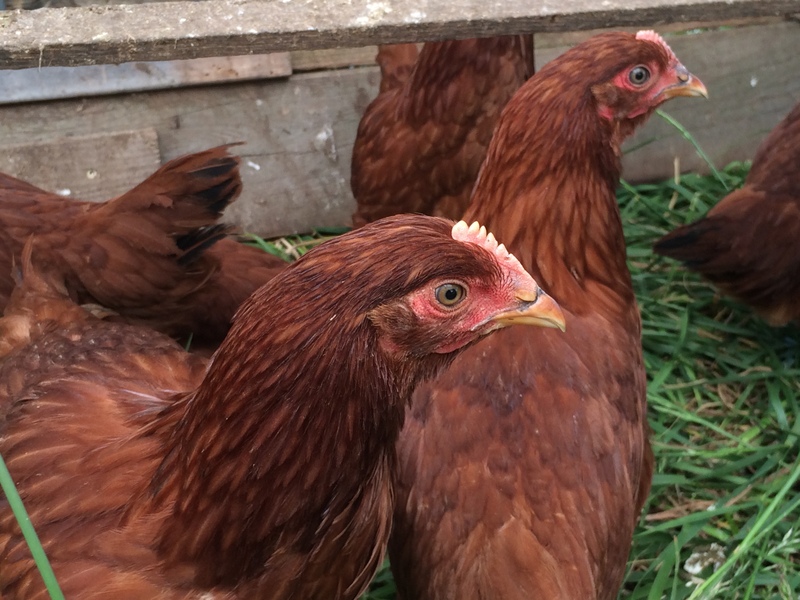 We often have to introduce chickens of different ages together and this can be a little challenging. 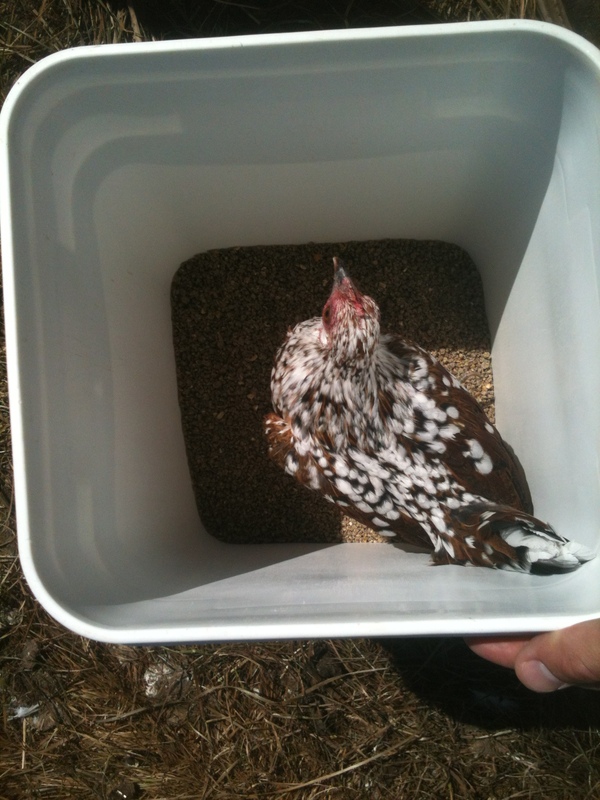 The adult birds could and would hurt or kill small, young chickens. So the goal here is prevention. The chicks are also on a more expensive, higher-protein feed that the larger foul don’t need to be consuming. But of course they think they have to have some. With all that in mind, the best way we have come up with (well, we didn’t technically come up with it, but you know) is called a creep. 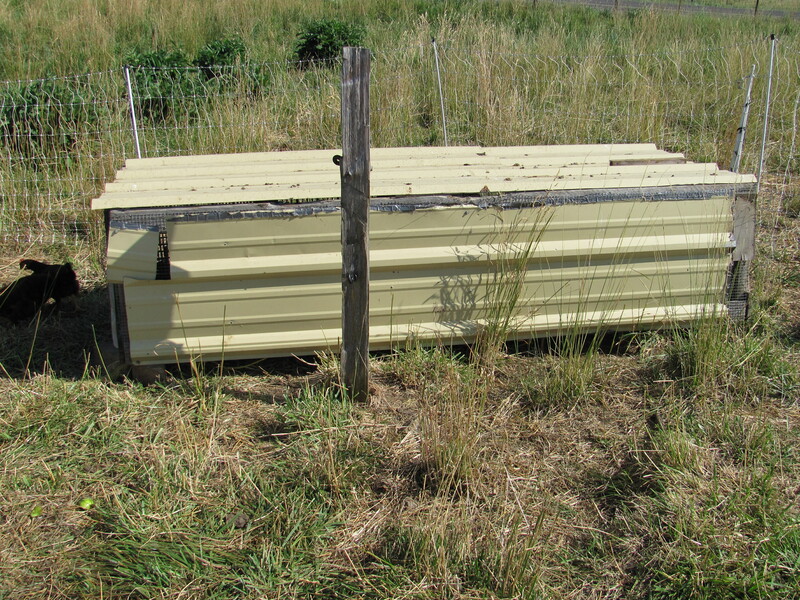 This is an idea that is often used with larger livestock. We simply adapted this method to smaller livestock. 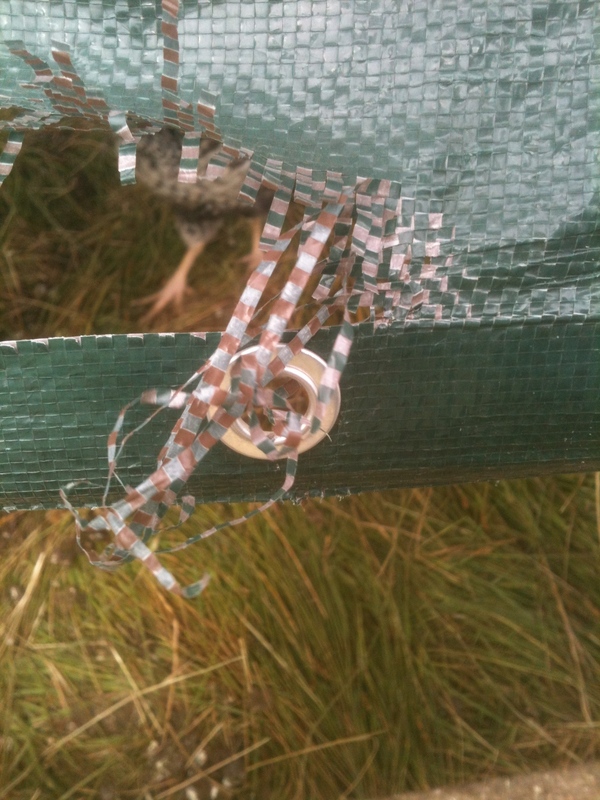 As you can see, we’re not getting any points on our quality of workmanship, but it allows the chicks to mix with the larger birds as they feel more comfortable with their place in the flock. 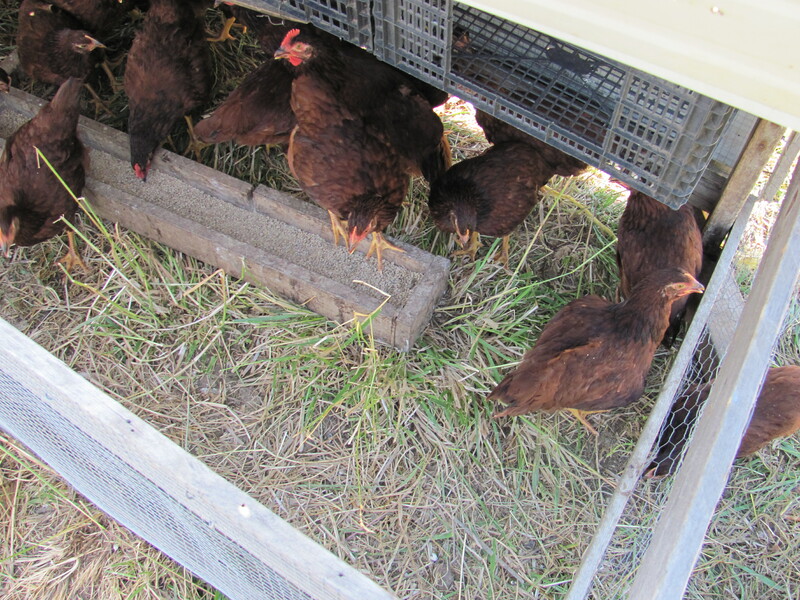 Keeping the bigger chickens out, we can feed the little ones a different feed freely. Its a win-win. When the chicks are too big to get into the creep, they have no choice but to mingle with the adults. Once the two flocks are integrated, we remove the creep.